ImagiSOFT's Split Annuity Software Demonstrates the Powerful Tax Advantages, Guarantees, and Safety of Annuity Products. 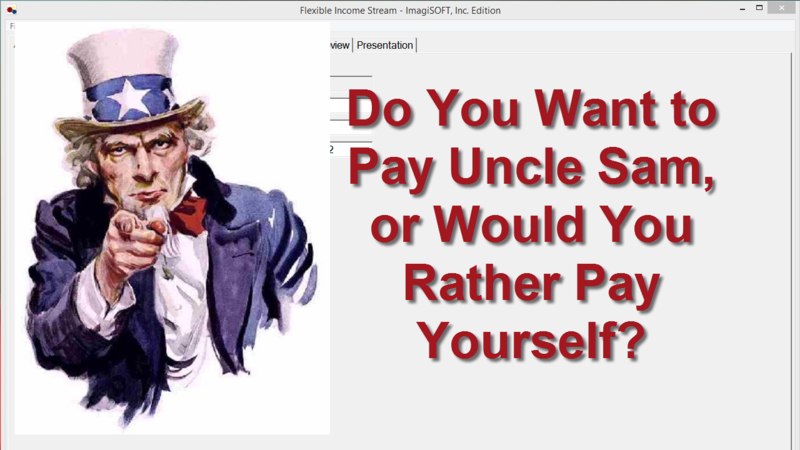 Do You Want to Pay Uncle Sam, or Would You Rather Pay Yourself? 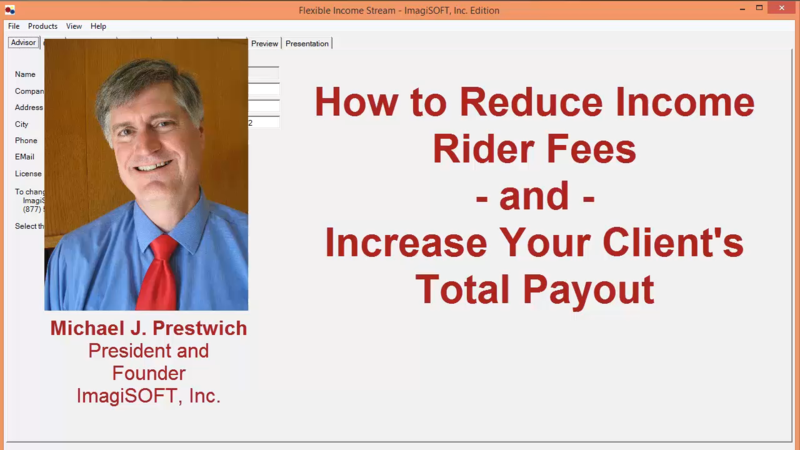 Split Annuity Software Demonstrates Higher Cash Accumulation, Guaranteed Income, Powerful Tax Advantages, and Safety of Annuity Products.